Side note: Isabel II was the queen of Spain 10 October 1830 – 10 April 1904. She was queen regnant of Spain from 1843 until 1868. She came to the throne as an infant, however her succession was disputed by the Carlists, who refused to recognize a female sovereign, leading to the Carlist Wars. 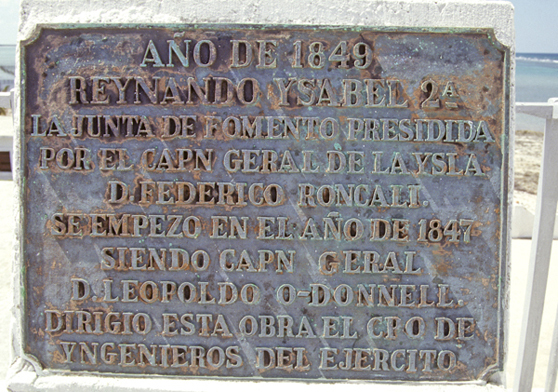 The island of Cayo Sabinal became a stronghold of these Carlist separatists and, oddly enough, these barracks where this plaque remains, were used as a base for their actions to topple the Spanish monarchy.